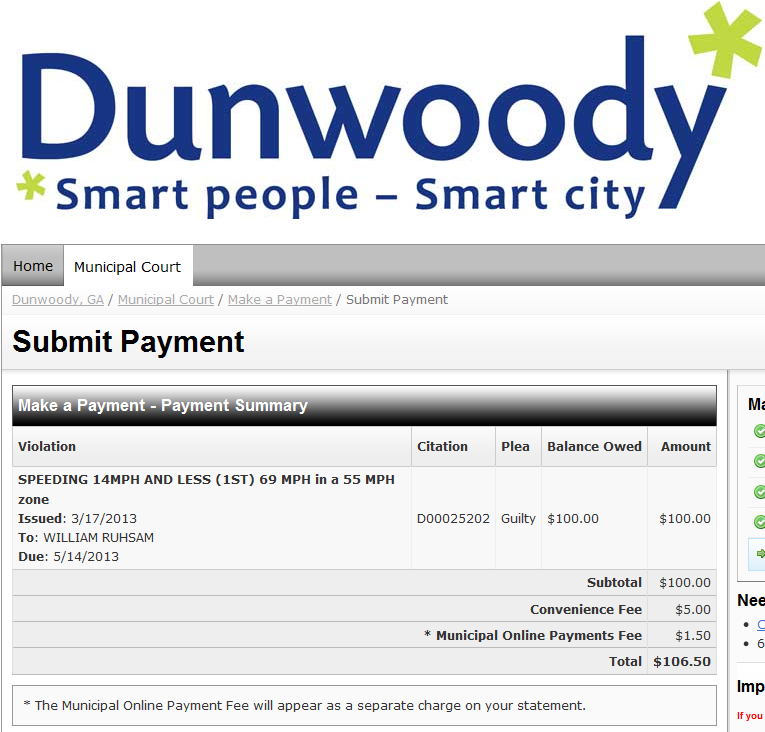 I received a speeding citation1 last weekend. I paid the $100 fee online today. This is my final screen. Someone with more experience with municipal court payments will have to tell me whether I would have had to pay a “convenience fee” if I’d shown up in person. Seriously, this type of thing has got to be near the top of the most annoying customer service interactions. 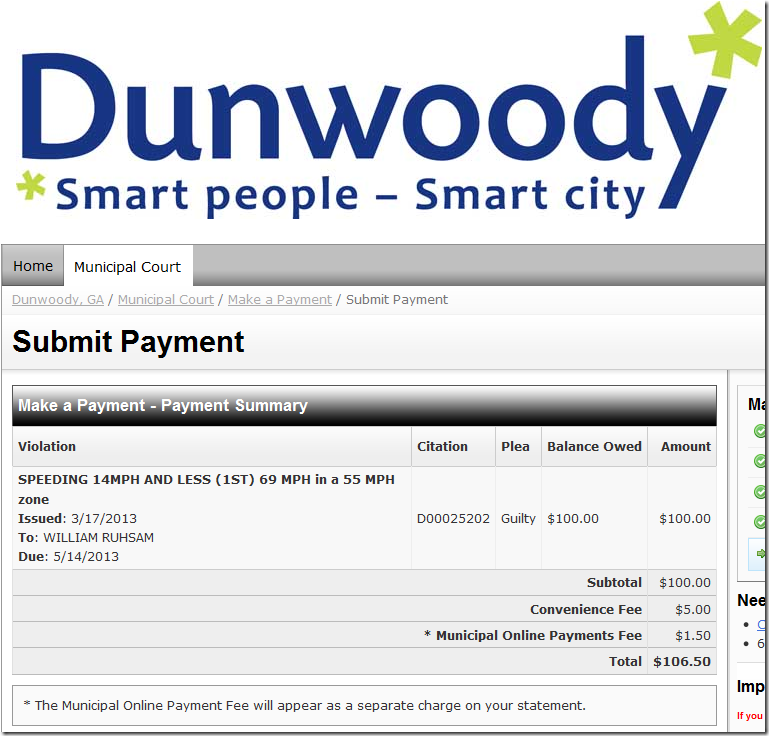 One Response to Ticketmaster does Dunwoody! Pingback: Hate Ticket Fees? You're Not The Only One!